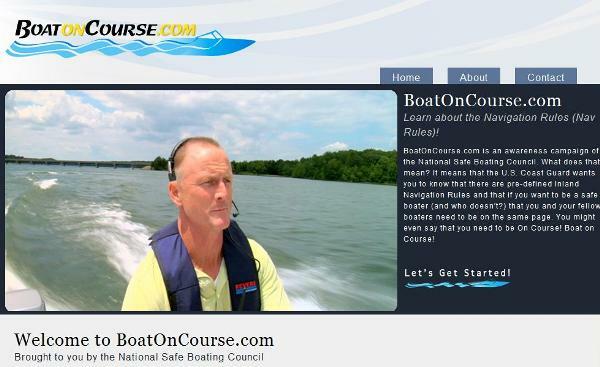 The National Safe Boating Council (NSBC) officially released the new site - BoatOnCourse - less than two weeks ago. 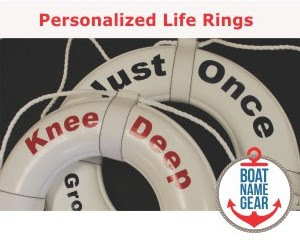 The website's goal is to help the recreational boater become more aware of the on-the-water navigation rules to enjoy a safer time on the water. We can't argue with that! In our view, boating is more enjoyable when it appears that other boaters on the water are playing within the rules. But in the absence of a nationwide equivalent of a driver's license for boaters, the trick is to get all boaters to voluntarily learn and follow at least the basics of safe boating navigation rules. The NSBC uses brief, bright, well-produced videos and interactive quizzes to get its messages across on the new site. The approach is to emulate something boaters are already familiar with: the "rules of the road" when driving a car. In the site's introductory video, they really "drive" this point home by reminding viewers that they have to think about stoplights, yellow lines, yield signs and the like when they drive a car, and that they should also think about such guidelines while operating a boat. what to do when two boats are coming directly at each other. The BoatOnCourse program was produced by the NSBC, through a grant from the U.S. Coast Guard. 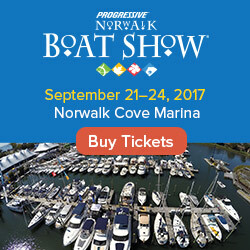 You can view the new site online at BoatOnCourse.com.